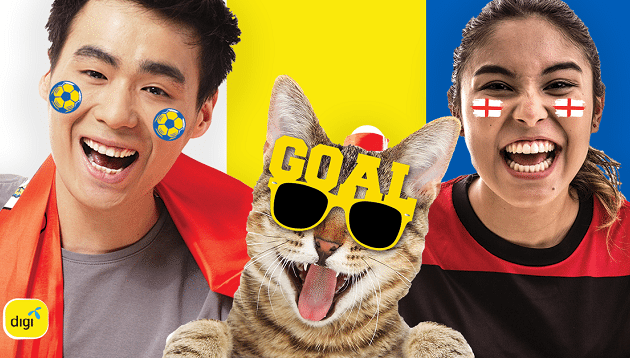 Digi Telecommunications (Digi) has jumped on the football hype with its new “Rah Rah Sampai Menang contest”, which combines the AR Facebook feature with Digi’s chatbot. Done in partnership with IPG Mediabrands Malaysia’s social media agency SpringCreek, the contest engages consumers to interact with a chatbot personality named Rah Rah Chong by recording their most creative cheer using Digi’s AR Facebook filter whenever a goal is scored. SpringCreek also worked with immersive technology company The Ministry Experience and digital agency Monad International for the campaign. The “Rah Rah Sampai Menang contest” ends on 15 July 2018. The AR filter has seen almost 40,000 impressions and is an integral part of the contest, which will see winners going on a trip to Spain, Germany or England. According to SpringCreek’s business director Kim Chew, almost 5,000 users have interacted with Rah Rah Chong over an average session length of 1.81 minutes since its launch two weeks ago. This is compared to the average time users watch an ad on Facebook, which is under 15 seconds. “We have seen this chatbot resonate with the everyday Malaysian sports fan as it resembles a sports pundit with an entertaining personality, which fits Digi’s witty persona well. The World Cup is always filled with hype, so we saw this as the best way for Digi to cut across the clutter of posts and connect in a meaningful way with consumers,” Chew added. The age-old rivalry was reignited when Microsoft offered US $650 to anyone who would trade in their MacBook for its very own Surfa..
"Our tech partners will have access to senior management, visibility on our growth strategy and technology roadmap, as well as a l.. The agency will also drive awareness for Club Med’s key resorts in Southeast Asia. ..